Discussion in 'AA Forge Knives' started by AA Forge, Dec 26, 2017. 3/17/19- In my haste last month when trying to update this page I accidentally deleted all of the previous updates which has caused some confusion on why I'm even behind on the custom orders to stat with so I wanted to lay it out. In April 2017 I opened my custom order books using a pay up front system. I chose this order method because in the past I had had a lot of issues and confusion using invoices after the order was done. The idea was simple; if I stayed on track it would make things faster because it got rid of the back and forth and you simply need to wait for your knife to arrive. This was a mistake because unfortunately Murphy's law and stay on track don't mix. I started to ship the first orders in early July as promised, but after that we had a slight heat treat delay of about 3 weeks for the next 20. This wasn't a big deal and I was making plans on how to get caught up in Aug. As many of you know I was using New Jersey Steel Barons 52100 as my primary steel because of some of it attributes I like slightly more than O1. Unfortunately this steel is made in Germany and when it goes out of stock it takes a long time to get back in, and this is what happed. Early Aug. I went to place an order for the next 70 orders, but most of what I needed wasn't available. I called to see when they would have it back in and I was promised end of Aug. to early Sep. Knowing I couldn't get caught up as planned I updated my quote to 6-8months in early Aug. Once early Sep. came and it wasn't back in stock I called again and was told some time in Oct. at the earliest. I ordered what they had that I needed and continued to wait (I wish I hadn't). By the end of Oct. they had no idea if it would be in by the end of the year and basically told me good luck. At this point I knew I either needed to switch every order to O1 or close the order books. After giving it some thought and prayer I chose to close the books until it was back in. In hind site I wish I had simply closed them instead of setting a closing date, but I can't change that now. The steel ended up not being fully stocked until March of 2018, but by this point I was working mostly with O1 to get some work done. The reason for the delay being more than the six months the steel was out of stock is simple, and this is something I really want to be as clear as I can on. 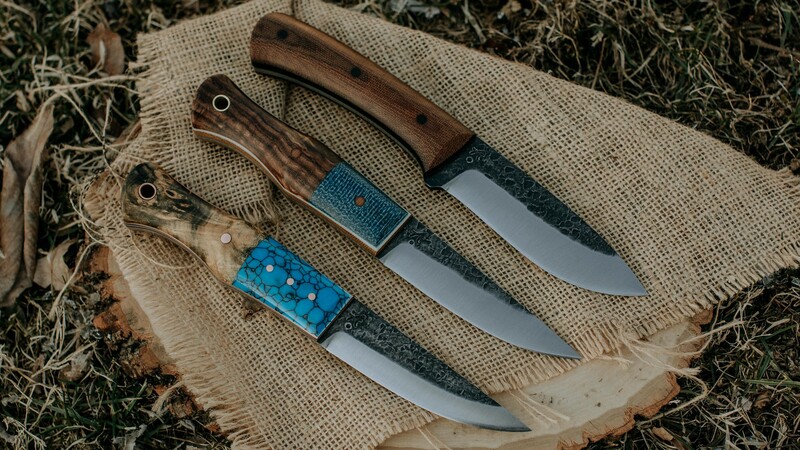 I have been a full-time knife maker since 2013 and making knives since 2006. With this being my full time job, and my wife being a stay at home mom of our two boys, as well as making the mistake to use the pay up front order system, when I closed the order books I basically lost my pay check completely. Orders were how I made my living, so when the books got closed I lost my living, simple as that. At that point we had over 360 orders on the books and no income. When the books were open I was finishing about 30-40 orders a month, but with no income I can't buy supplies to finish orders or simply pay my bills. Instead of simply throwing in the towel and applying for other jobs and letting this business I have put blood, sweat and tears into die, I decided to switch things up and try to get through the list. I get asked all the time why I make so many available knives if I still have orders on the books and the answer is simple, with the books closed that is how I make my living now. The 30-40 orders a month we were doing when the books were open had to be cut back to make room for available knives or nothing will get done at all. Sometimes I can't get as many orders done as I want, but we have to do what we have to to keep moving. We have been finishing 10-20 orders a month plus available knives to pay for it all since I closed the books, and we are almost done!!! I know this has been a long and frustrating experience, but we are just about finished. I have learned the hard way that relying on specialty materials and taking full payment for an order up front are no good, and I can promise everyone that I will never do it again. I don't know what the future holds, as you can see here, but I do know that I love what I do and the hurt this has caused you guys has hurt me more than you know. I can promise once we are through this that when ever we take orders again it will be simpler deposits only system so that no one feels cheated if life happens. Mine is the one on top. Came in yesterday. sharp thoughts, ajvail18 and AA Forge like this. 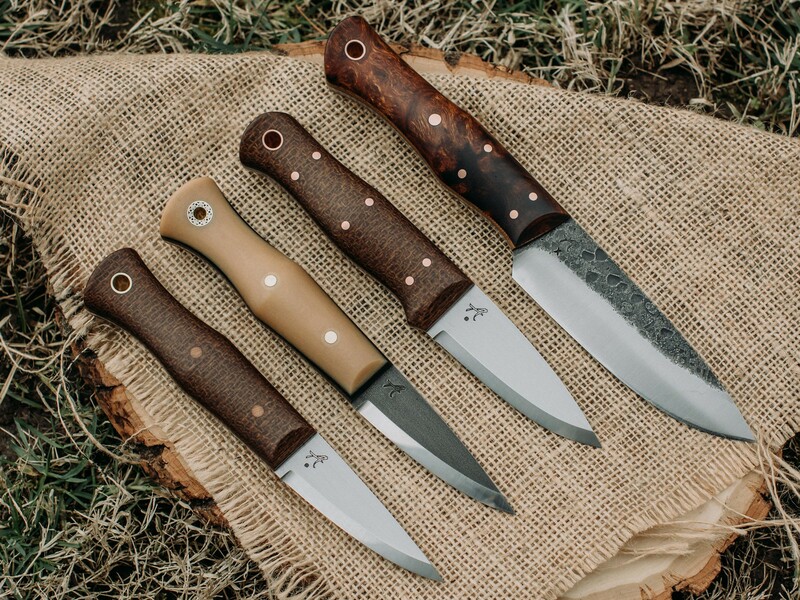 What is the handle material on the second from the bottom knife? I’d like to see more of this. Pretty cool. Running a little behind on last week's orders but they and a bunch more will be coming this week into next week. A full update on the order list will be coming later this week. ajvail18 and Zippo2 like this. With me last night, so I’m trying to have it up today. Basically this is where we stand. The hiddenwoodsman batch (which was an order) had some delays getting out and it put us about 3weeks behind. I was hoping to be done by early April, but with that delay it has obviously pushed us past. One thing to keep in mind is that as I stated earlier we are finishing 10-20 knives a month on average, but not all orders are only one knife. We currently stand at just under 30 orders up to Dec. and I have finished a handful of Jan. orders as well. 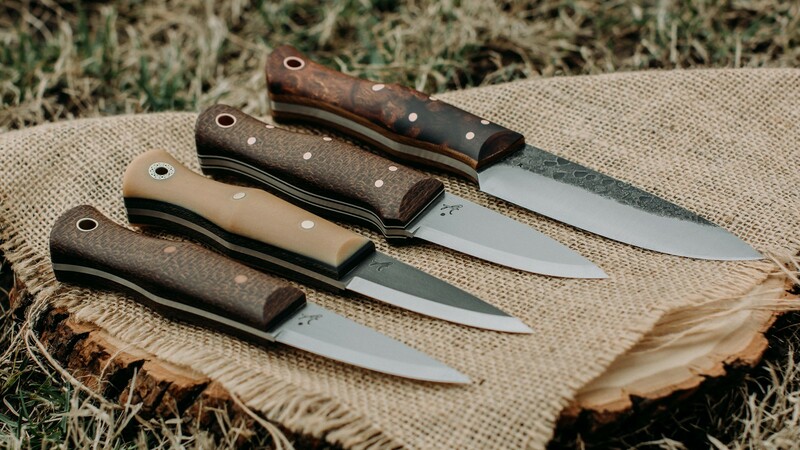 The reason I haven’t posted any finished orders on here for the past couple of weeks and there have been more available knives is because we got hit a little harder this year with taxes than we expected and needed to make up the difference. Now that we are past that I have 10 orders on the bench that I hope to have out over the next week. I apologize for the missed quote date of early April and I want to thank all of you for your patience up to this point. We are doing everything we can to get these orders out the door, and you will be seeing a lot of them on here very soon! We currently stand at just under 30 orders up to Dec. and I have finished a handful of Jan. orders as well. I placed my order for one knife in the first week of August 2017 and still have not received it. From what you're saying you have worked past it. We had to work out of order to move faster. I only have three Aug orders left, but If you could message me with your order number I can give shipping time.